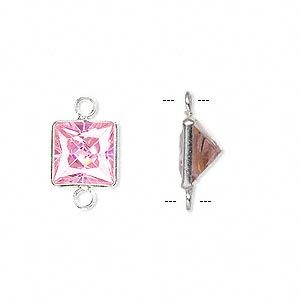 Link, sterling silver and cubic zirconia, pink, 9mm faceted square. Sold per pkg of 2. Item Number: H20-6682FY Have a question about this item? 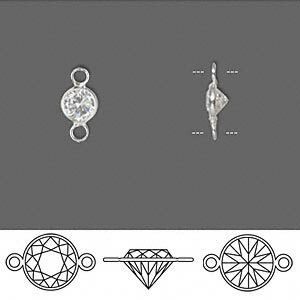 Unlike any other diamond substitute, only cubic zirconia contains the optically flawless crystalline form of zirconium dioxide, a lustrous and strong metal resembling titanium. 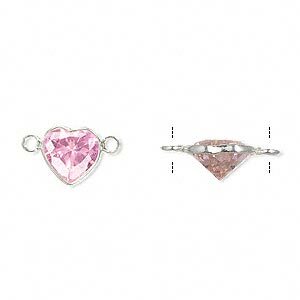 Like natural diamonds, cubic zirconia is isometric in structure and is considerably harder than most natural gems, with a high refractive index, making it long-wearing with magnificent color brilliance. 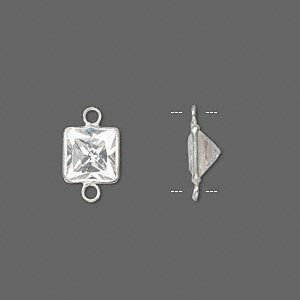 Link, sterling silver and cubic zirconia, clear, 9mm faceted square. Sold per pkg of 2. Link, sterling silver and cubic zirconia, garnet red, 9mm faceted square. Sold per pkg of 2. 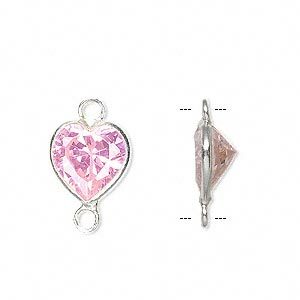 Link, sterling silver and cubic zirconia, pink, 9x8.5mm faceted heart. Sold per pkg of 2. 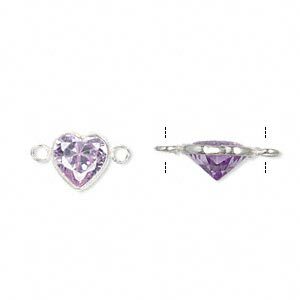 Link, cubic zirconia and sterling silver, clear, 9mm faceted round. Sold per pkg of 2. 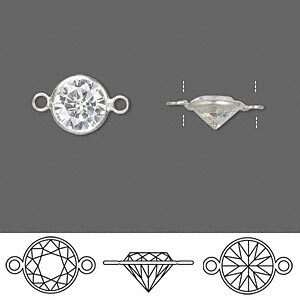 Link, cubic zirconia and sterling silver, clear, 5.5mm faceted round. Sold per pkg of 2. 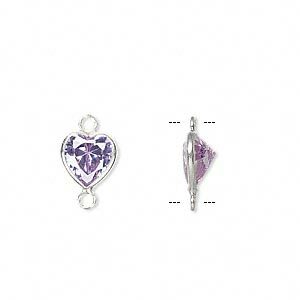 Link, sterling silver and cubic zirconia, lavender, 9x8.5mm faceted heart. Sold per pkg of 2. 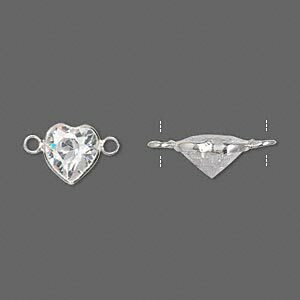 Link, sterling silver and cubic zirconia, clear, 9x8.5mm faceted heart. Sold per pkg of 2. 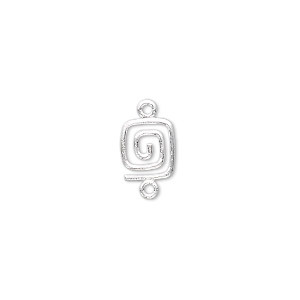 Link, sterling silver, 9x7mm square swirl. Sold per pkg of 2.